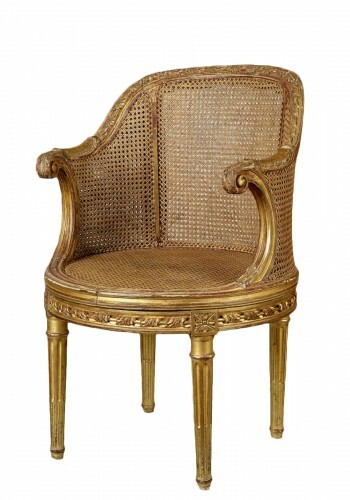 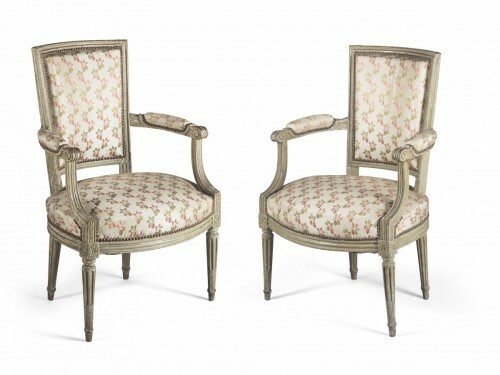 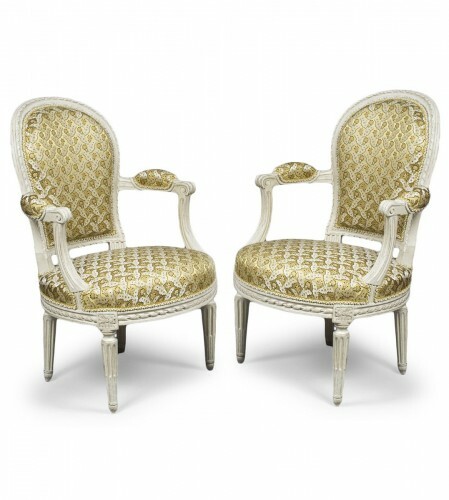 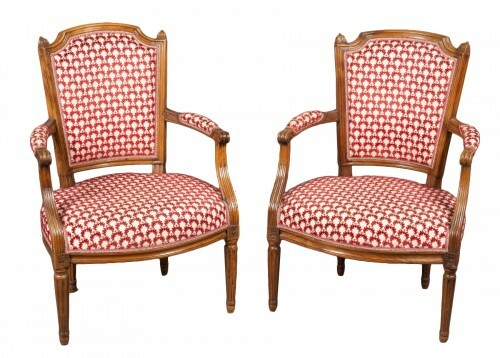 Pair of cabriolet armchairs in carved lacquered beech, upholstered with Rubelli fabric. 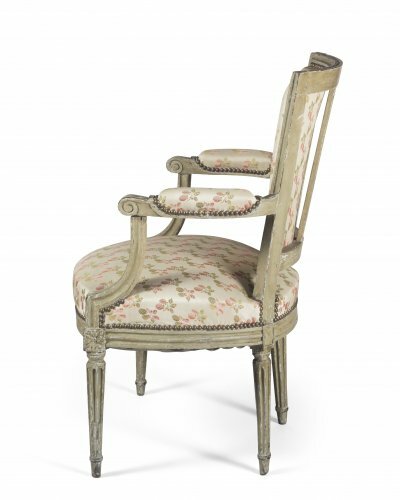 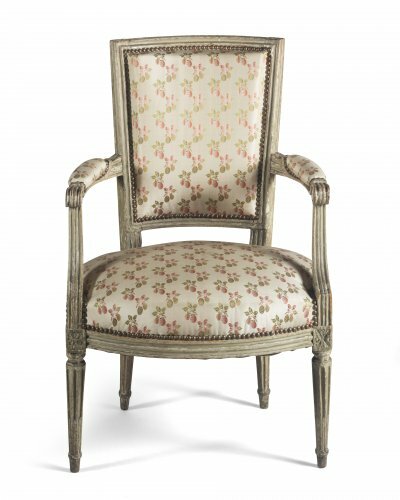 the square back connects to padded armrests, ending in scrolls, above elegant curved and fluted supports, raised on tapered and fluted legs headed with rosettes. 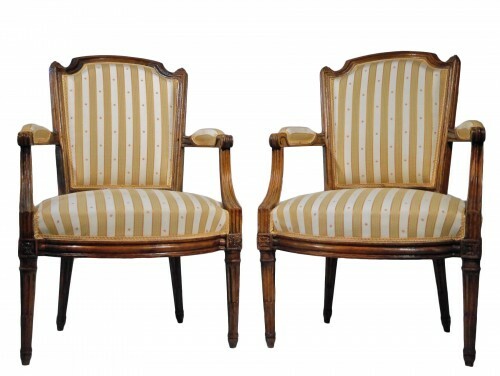 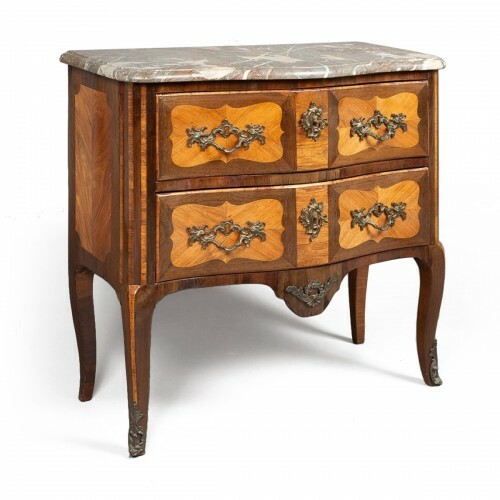 The rectangular, with square backs, elegant armrest holders in console surmounting connecting dices carved with florets, resting on tapered, fluted and rudentés feet. 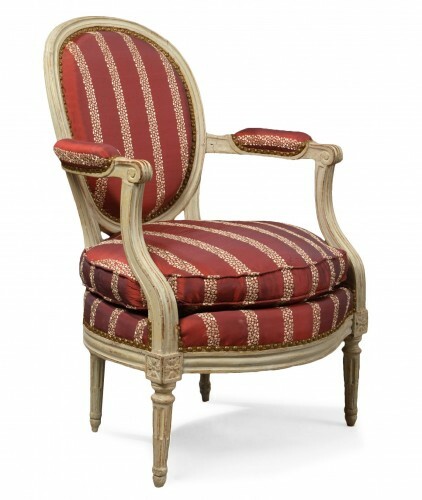 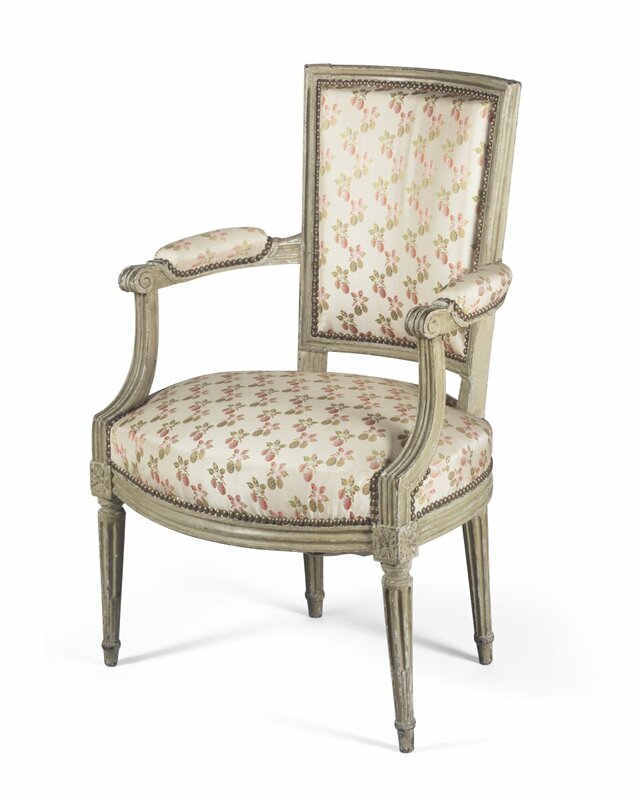 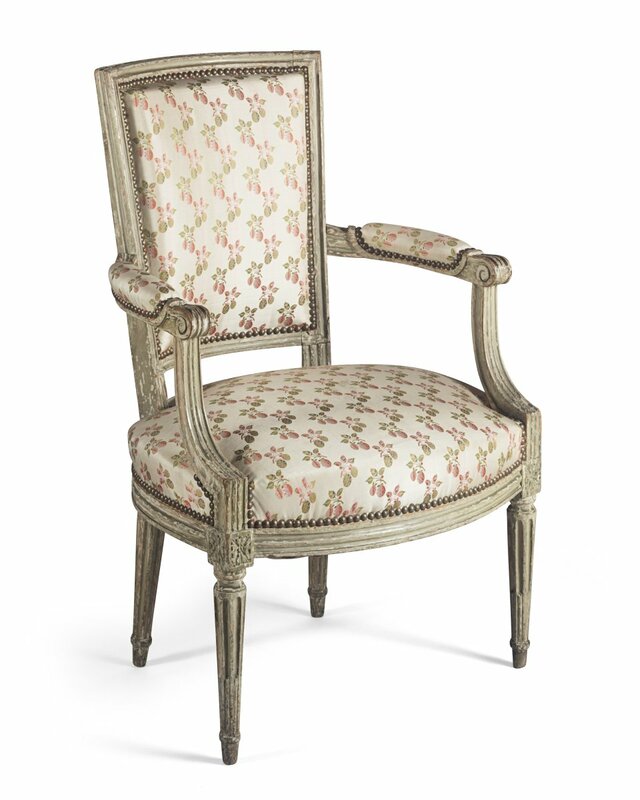 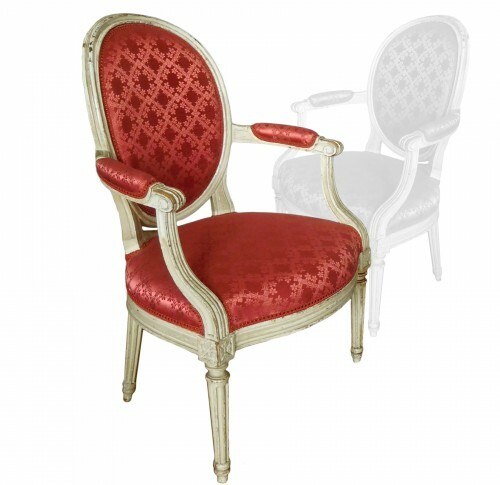 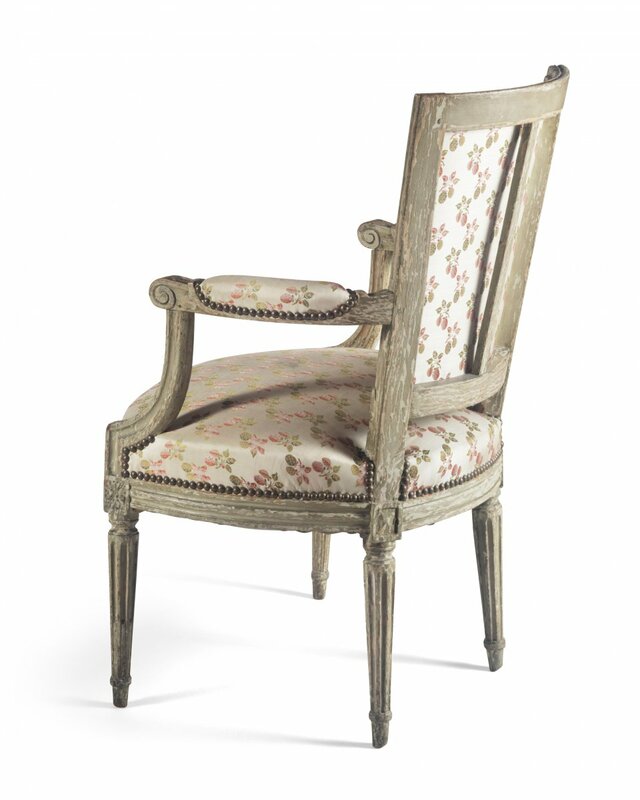 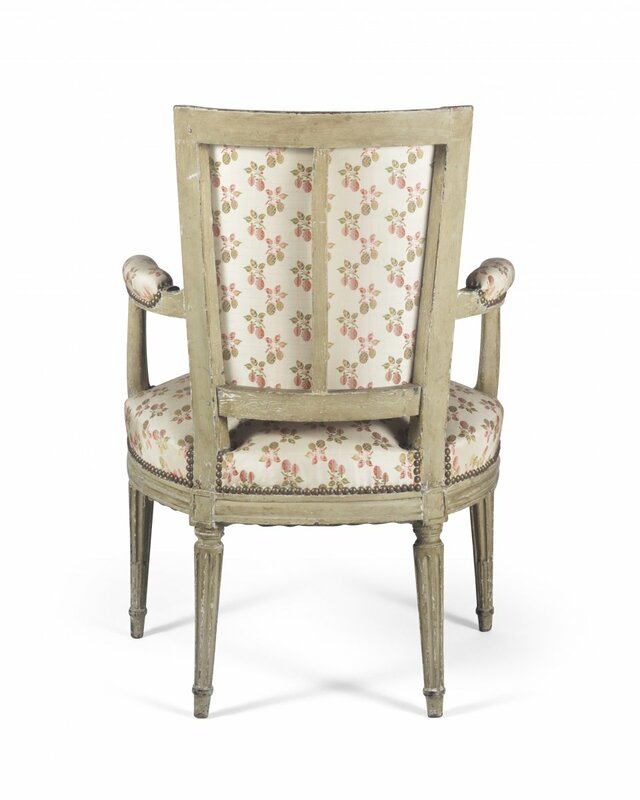 The armchairs are covered with a fabric of the manufacture RUBELLI, "Fragole". This fabric was created by Rubelli, a Venetian manufacture, after an embroidery of the second half of the 18th century decorating a French vest, from the national collections of Venice. 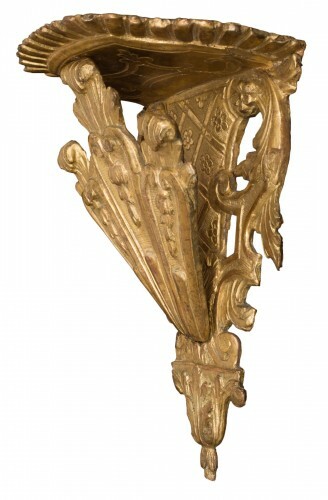 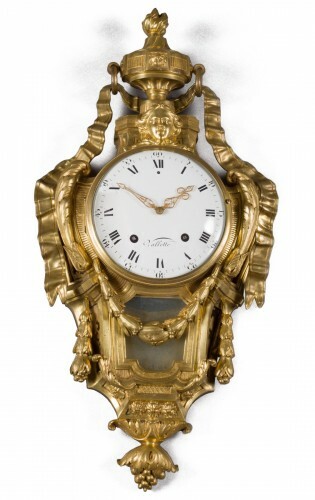 The drawing has been reinterpreted by Rubelli using the complex technique of the edging, according to which two different chains are used on the craft, one for the decoration and the other for the background. Fragole was chosen to make one of Queen Marie Antoinette's dresses, played by actress Kirsten Dunst, in the eponymous film by American director Sophia Coppola, as well as one of Cécile de Volanges' main dresses , performed by actress Uma Thurman in Dangerous Liaisons and by actress Fairuza Balk in the movie Valmont.